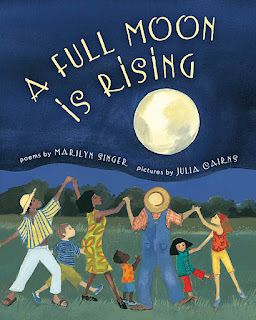 A Full Moon is Rising is a delightul children's book about how people around the world celebrate the full moon. Each page contains a poem set in a different place, along with a beautiful illustration. At the back of the book, there are a few pages of explanations of the poems, which help to put them into context. The one complaint I have is that I got so much more out of the poems when I went back and read them again having read the explanations, so I wish they weren't at the back. Although, I guess a little kid might not want their poems and pictures interrupted by explanations, so maybe I'm looking at it from too adult a perspective. 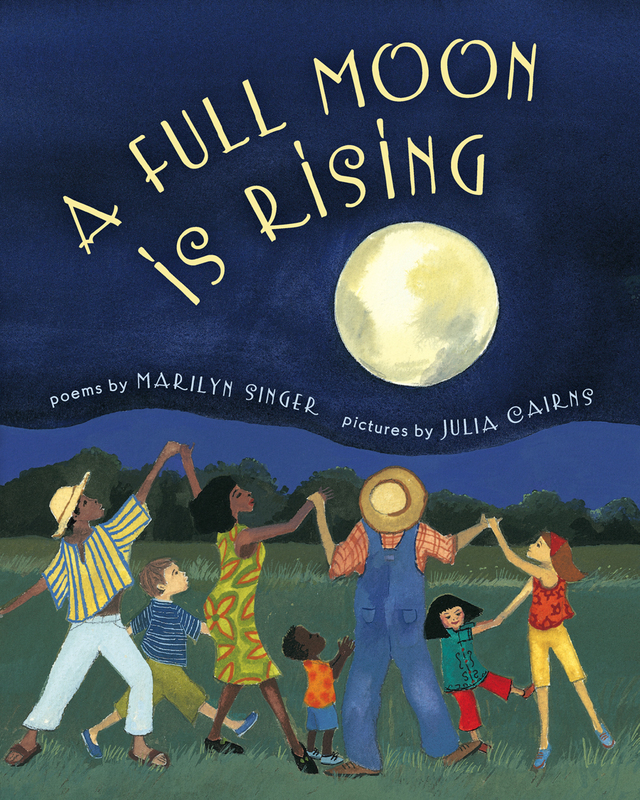 My favourite poem in the book is probably Wolf Moon, the setting of which is Algonquin Park, Canada (I'm a sucker for things set in Canada). In it, children are sitting around a campfire under a full moon, warning each other about werewolves. Meanwhile, the wolves out in the wilderness are warning each other about humans. Overall, I think this would be a great book to read to your kids. It's always nice to find kids' books that include cultural and religious diversity. 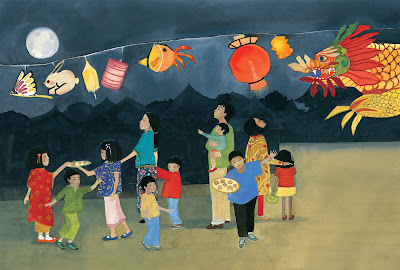 More this, please, kids' book publishers!